I need to order the result of a JPQL query based on a column that contains NULL values. How can I define how NULL values shall be handled? The handling of NULL values while ordering your query result is harder and at the same time simpler than you might expect. The JPA specification defines that during ordering, NULL values shall be handled in the same way as determined by the SQL standard. The standard specifies that all null values shall be returned before or after all non-null values. It’s up to the database to pick one of the two options. That makes the handling of NULL values more or less undefined. The SQL standard fixed that by introducing NULLS FIRST and NULLS LAST clauses which enable you to define the position of NULL values. Unfortunately, the JPA standard doesn’t support these clauses. But most JPA implementations, including Hibernate, support them anyway and there is a request to add them to the JPA specification. 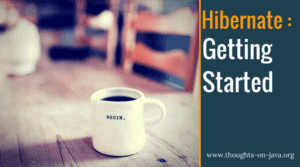 Let’s take a look at 2 Hibernate examples that use these clauses. The following query selects all Book entities in the descending order of their publishing date and puts NULL values first. As you can see in the following log message, Hibernate generates an SQL query using a NULLS FIRST clause. And you can, of course, replace the NULLS FIRST with a NULLS LAST clause to change the position of records containing NULL values. As you can see in the following log message, Hibernate now generates an SQL query using a NULLS LAST clause.